Ready to Hire Us? Click Here to Schedule Your FREE Consultation! We are the #1 expert in helping executives create a professional brand that outshines the competition. Your job is what you do, but your personal brand is who you are.™ Today, more than 60% of executives hire an executive resume writer to help create a professional brand. The top athletes have personal coaches to take them to the next level, so why wouldn’t you hire a writer who has been awarded as BEST in the industry, and has the proven credibility, authority, and trust to get you the results you want? ► Attorney & Former College Writing Professor representing the most powerful academic and only combination found in the resume writing industry! Regarded as a top executive resume writer in the industry, we hold 6 certifications in resume writing, personal branding, and career coaching, including the coveted Nationally Certified Resume Writer (NCRW). Notably, we are the only NCRW who is also an attorney. 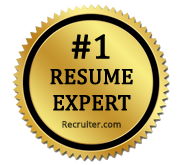 ► Award-Winning Career Expert (10+ industry awards) rated as the #1 Resume Expert by Recruiter.com and named Best Executive Resume Writer & Career Coach. Additional top awards and recognition include: Best Legal Resume Writing Services, Recommended Executive Resume Writer by Heller Search Group, Top 25 Resume Building and Career Blogs, Best Career Blogs, and Finalist, 2017 Up & Comer Awards. ► Top-Published Branding Expert & Content Writer with proven knowledge of personal branding, career advice, job search strategies, content strategy, and entrepreneurship. We are a Certified 360Reach Analyst for the most comprehensive personal branding survey, and we have been featured and published in over 50 major media outlets, including top outlets such as CNN, The Huffington Post, Forbes, Entrepreneur, The Muse, Fast Company, Fortune, Inc., MSN, Thrive Global, Glassdoor, and Business Insider. We are a content writer for Inc. Magazine’s BrandView and high-impact content writer for businesses, law firms, and other corporate entities to help leverage their thought leadership, online web presence, and social media. ► Highly Respected Industry Leader and elected by our peers to serve on the Board of Directors for the National Resume Writers’ Association for three (3) years. Served as the President-Elect and Ethics Chair (2018) and Board of Directors (2016-2018). We are a member of multiple professional associations in the industry as well as a 2015 founding member of the prestigious Forbes Coaches Council, an exclusive invitation-only membership for the country’s leading business and career coaches. Your resume is the most important document in your career. Today, your skills, credentials, and accolades must win over a hiring manager in less than 5-7 seconds! A standard resume is no longer enough in the digital age. You need a digital footprint that’s easily discoverable when employers research you and a powerful personal brand that sells your leadership value. Since 85% of resume writing is based on strategy, you need a proven expert with the innovative analysis to create your personal brand from a very objective standpoint. ✔ Our Unique Professional Background Garners More Results: Executives are sophisticated leaders and need an equally sophisticated executive resume writer with stellar academic and professional credentials. Our expertise is unmatched. If you Google us, you will see WHY and HOW we are deemed to be a leader in the resume industry and WHY we are revered as the best executive resume writer, a top branding expert, and regarded as a beset resume writing service. Our 5-star reviews exceed more than 100 combined on Yelp, Google, and LinkedIn from past clients and professional colleagues dating back to March 2014. While the majority of our clients are high-profile and do not elect to post their reviews publicly, we have received a number of detailed reviews that past clients have written about their experience and successful outcomes with us. We speak the language of executives, and our educational prowess and professional background as an attorney (with a laser-focus on writing) surpasses most other resume writers. We hold a J.D. from a top 100 law school along with a 12+ year career trajectory entrenched in legal writing and powerful trial advocacy at prestigious law firms and Fortune 200 companies. Our background also includes more than 7 years of teaching college writing courses, a qualifier to having higher writing standards and exceptional devotion to career improvement at a deeper level. As a highly-skilled litigation attorney, we have been trained to think in a systematic and logical way. That training converts to stronger writing, creative analysis, and savvy problem-solving skills. We know how to think fast on our feet, synthesize large volumes of information (i.e. 20+ year career histories), and make compelling statements that win over the toughest of audiences. We have an unmatched success rate for senior executives and c-level leaders applying to top organizations, and we are one of the few top executive resume writers who maintained an executive career at such a high caliber. With approximately 50 Nationally Certified Resume Writers (NCRWs) total in the country, we are honored to be the only NCRW who is also a licensed attorney! The NCRW is deemed to be the Ph.D. of resume writing. In addition to being a prestigious NCRW, we hold 3 additional resume and career certifications: Certified Professional Resume Writer (CPRW), Certified Career Transition Coach (CCTC), and Credentialed Career Manager (CCM). We are also a Certified 360Reach Analyst with additional training in delivering personal branding assessments. ✔ Proven Thought Leader & Respected Mentor: We are the most published career expert with hundreds of features and publications in OVER 50 top media outlets! We are a speaker, a mentor, an author, an influencer, and proven to be the top authority in the careers industry. We’ve had our resumes and work featured in multiple books. We’ve also appeared on national radio broadcasts, and in multiple lengthy podcasts for one-on-one interviews. Our massive writing portfolio cannot be matched or beat. ✔ Multi-Dimensional Professional Writer: Resume writing and personal branding are true art forms that few can master. A top resume writer is more than just someone who writes beautifully worded career documents. They are creative, innovative, and wired to express themselves with talent, value, and clear communication in all avenues of writing.Our 15+ years of professional writing experienceas a college writing professor, legal writer, published content writer, and resume writer includes a multi-faceted arsenal of impactful content. We have imprinted our influence in more than 30+ industries with thousands of satisfied professional and executive resume clients, and most importantly – a proven track record of powerful results. ✔ Holder of 6 Resume Writing, Career Coaching, & Personal Branding Certifications: Nationally Certified Resume Writer (NCRW), Nationally Certified Online Profile Expert (NCOPE), Certified Professional Resume Writer (CPRW), Certified Career Transition Coach (CCTC), Credentialed Career Manager (CCM), and 360Reach Analyst for Personal Branding. With advanced training and a deep commitment to industry credentials on cutting-edge techniques and trends in the resume writing process, we know how to effectively brand and target your career documents, and we know how to communicate your value to an employer with sophistication and style. We also assist our clients with best practices in job coaching, job search management, and job search strategies. As an acclaimed speaker at local and national seminars, workshops and conferences, we are the go-to expert for career consultants, online career resources, bar associations, professional organizations, and networking groups. We have sat on interviewing committees and possess insider knowledge on what companies and firms want from their employees. 65% of our total clients earn higher than $175K annually, 25% earn between $350K to over $500K annually, and 10% earn over $1M annually. More than 90% of our clients hold senior management, executive, and c-level positions in (with the majority in law, sales, marketing, finance, and IT) and less than 10% of our clients are mid-level and young professionals. More than 55% of our clients are attorneys (practicing and non-practicing). Of the attorneys we work with, over 80% are general counsels at top-tier companies, startups, and those in the IPO stage. Majority of our attorney clients hold hybrid roles in senior legal advisory and executive business leadership. 25% of our clientele consists of publications, law firms, and other businesses seeking our professional expertise in personal and business branding as well as content writing and content marketing for a stronger brand on social media platforms. Are you ready to take the leap into improving your career and creating more personal fulfillment? Are you tired of being passed up for the jobs you really want? Are you an executive or C-level leader who is looking to make a challenging lateral move to a Fortune 100 company? Are you a business who is struggling to market their brand? Gain the competitive edge you need by supercharging your professional and personal brand with the attorney and executive resume writer who has been awarded the BEST in the industry. Investing in a top executive writer can give you the biggest return: an interview at the most coveted companies for the most coveted roles, entry into a Board of Director position, leverage as a top business consultant, or even your next prestigious award.